Ron’s track record of building good teams into great ones is what truly impressed us and we’re excited to bring him on board during this time of tremendous growth. Graduation Alliance, leaders in alternative education, postsecondary and career planning, announces the appointment of industry executive Ron Klausner as chief executive officer. In this role, Klausner will spearhead Graduation Alliance’s continued growth, partnering with states and school districts nationwide to implement dropout recovery solutions as well as postsecondary exploration and career planning technologies. Klausner joins Graduation Alliance amidst unprecedented interest in its Workforce Diploma program and at a point when the number of dropouts reengaged year-to-date has hit an all-time high—more than twice the number of students served in prior years. "As a nation, we're not preparing students to the best of our abilities and this issue ranks among the greatest we face in the 21st century," said Gregg Rosann, co-founder and president. "Graduation Alliance remains focused on scaling solutions that empower students to realize their full potential. Ron’s industry awareness and clear commitment to operational excellence will allow us to do that, and make him an ideal leader as we continue to grow." Klausner comes to Graduation Alliance with more than a decade of executive tenure in the industry. Most recently, he was a leader at Academic Partnerships, an outsourced services provider serving higher education clients, serving as interim COO. Previously, he led Cambium Learning Group as CEO and was president at Voyager Expanded Learning. 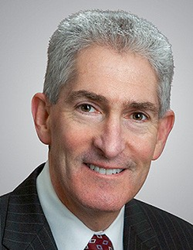 Following three decades of experience in the business services sector, where his leadership posts included Global Operations, North America Sales and Asia Pacific as well as senior vice president at Dun & Bradstreet (D&B), Klausner chose to follow his interests into the education market, joining ProQuest Information and Learning as president. He is the recipient of numerous industry awards, including the President's Award from the National Alliance of Black School Educators and was named by Ernst & Young as a Southwest Entrepreneur of the Year. For more information about opportunities at Graduation Alliance, visit http://www.graduationalliance.com/opportunities.html. Graduation Alliance strengthens communities, states and the economy by preparing and empowering tomorrow’s workforce. Through highly effective postsecondary planning, alternative education and training programs, Graduation Alliance ensures every student has an opportunity to succeed during and after high school. For more information about Graduation Alliance, visit http://www.graduationalliance.com.